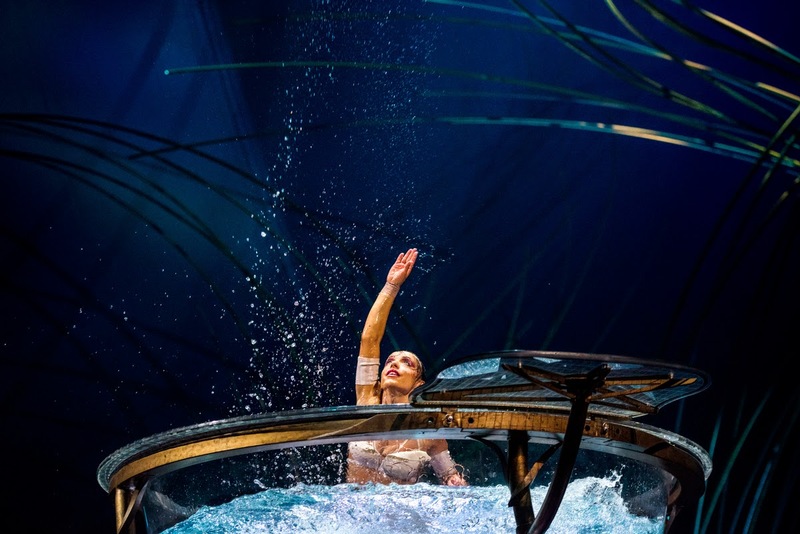 Adventurous Tastes: Enter to Win 2 Tickets to Cirque de Soleil's Amaluna! Enter to Win 2 Tickets to Cirque de Soleil's Amaluna! My fabulous, childless NYC cousin asked me recently what kind of cultural activities the Mr. and I get up to in Atlanta. My response was a blank stare and finally..."does eating out a lot count?" It's true since we moved down from NYC and added a baby to the family, our theater and concert going ways have dwindled to next to nothing. So it was a thrill to score media passes to Cirque de Soleil's Amaluna, which is playing at Atlantic Station now through Nov. 30. There's music, a love story, dance and acrobatics, how cultural can you get? 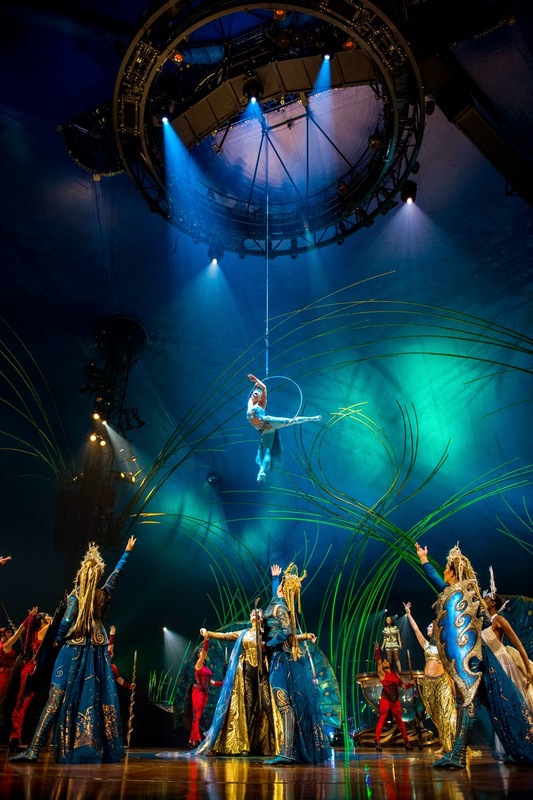 In many ways, Amaluna is exactly what you've come to expect from Cirque - an impressive set, ethereal music, gorgeous costumes and amazingly talented performers who combine hard-to-believe athleticism with stunning artistry. 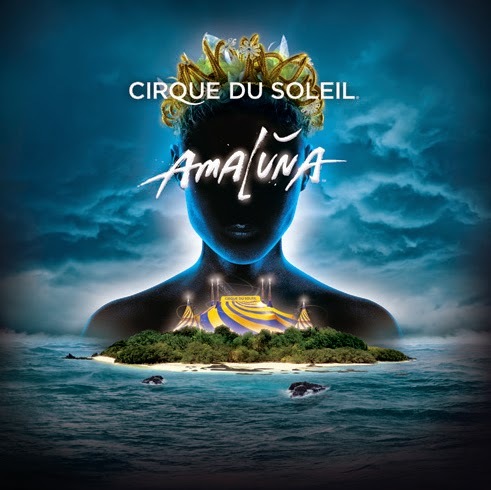 But what may surprise you is that Amaluna is Cirque's most female-driven show ever, with a cast that is 70% female, and a story that puts women at the center of the action. The show finds you on a mysterious island. When a storm leads to a shipwreck, love between the princess and a handsome young sailor ensues. But of course it can't be that easy - the young couple must overcome obstacles before they can be together. Of course plot is nice, but you're really there for the shocking feats the Cirque performers make look so easy. Cue the soaring, spinning, swimming and even seesawing. 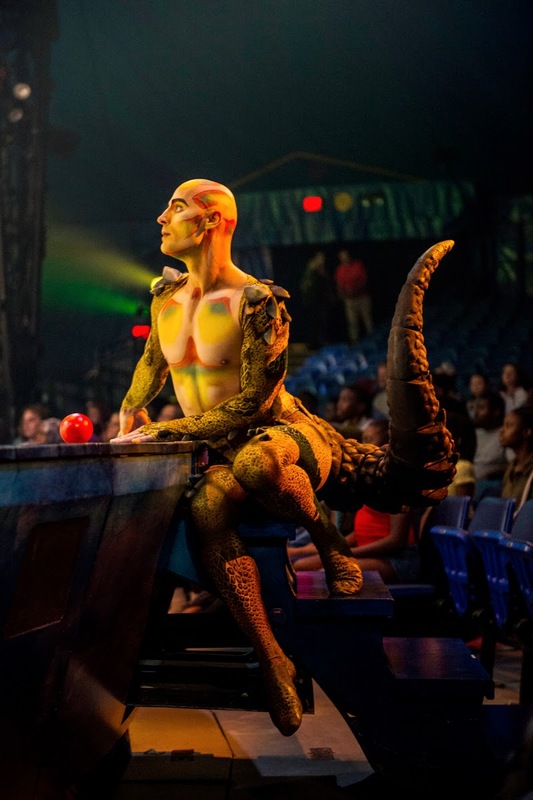 And did I mention the juggling lizard? Juggling as a concept typically seems lame to me, but trust when I say that this lizard actually made juggling pretty cool. The show delivered with many truly beautiful and impressive moments, and we loved our big cultural night out. Every seat in the house is a good one as it's a theater in the semi-round. We got to stick around for a Q&A and learned that many of the performers came from the ranks of NCAA gymnastics, but the cast as a whole is from around the world. Now you can get your culture on, too. I'm giving away 2 sets of 2 tickets to the Amaluna show on Nov. 5 at 7:30 pm. To enter comment on this post and head to the link below for multiple chances to win! I'll announce a winner on 10/29. Looking to just buy your tickets? Bring three friends and get in for FREE! Get your tickets here.